A scientific article by MIC on Creativity Research Journal: " An eye-tracking analysis of irrelevance processing as moderator of Openness and creative performance"
The MIC Institute article that demonstrates the psychological mechanism relating the Openness personality trait and the creative performance is now pubblished online on Creativity Research Journal. Even if beeing open-minded was already demonstrated to be related to creativity, no study even demonstrated the psychological mechanism relating this personality trait and creativity: in this paper MIC demonstrates that a higher attention to irrelevant information mediates the association between Openness and creative performance. 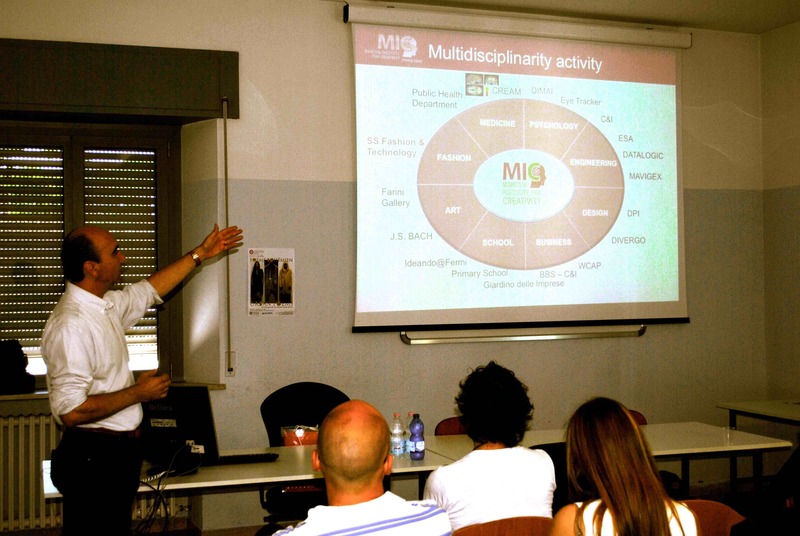 The Department of Life Quality Studies (QuVi), University of Bologna organizes the second edition of the ZoneModa Summer School in High Education, which is fully dedicated to the relationship between Fashion and Creativity (Rimini, Spazio ZoneModa - June 15 - 19, 2015). Along with the special lessons of fashion academics, specialists of fashion archiving and professional designers, the program includes MIC experts with a seminar about Creative Thinking. On June 16 Prof. Giovanni Emanuele Corazza held a 3-hour lesson focused on Creative thinking principles, tools, and applications, outlining the theoretical approaches to the study of creativity to present then the DIMAI model applied to Fashion Design, with examples, exercises, and final generation of ideas by the students.